The Young Artists and Authors Showcase (YAAS) is an annual contest that encourages youth worldwide to express the mission of Sister Cities International through original artwork, literature, and photography. Submissions are centered around an annual theme and judged based on originality, composition, and theme interpretation. The work is sent from sister city member communities to Washington, DC, where a panel of judges select Grand Prize Winners in each category (art, literature, and photography) win a $1000 prize. After the finalists for art, literature, film, and photography have been announced, their works are displayed in Sister Cities around the U.S. in a year-long tour. Students and member cities should send their art and/or literature, along with their corresponding completed entry form, to Sister Cities International by mail or by emailing youth@sistercities.org. Click on the buttons below to download and complete your entry form. 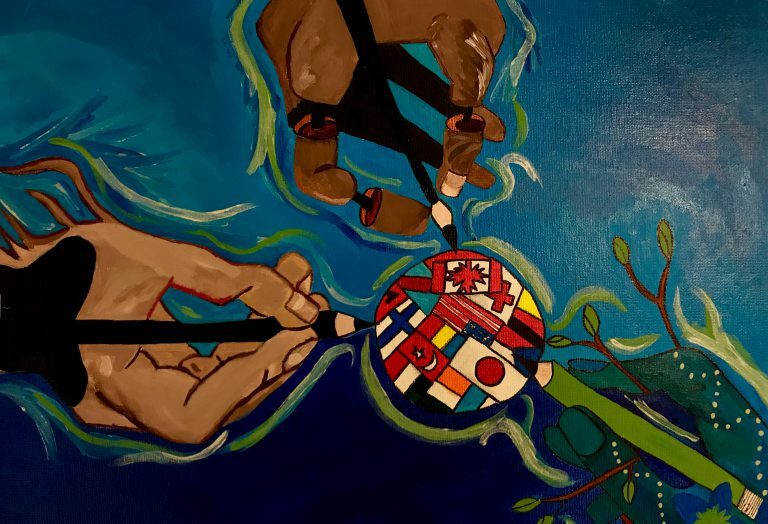 Five  U.S. finalists and five  International finalists year, the Young Artists and Authors Showcase (YAAS) encourages youth from around the globe to express the mission of Sister Cities International through original artwork, literature, film, and photography.